This is the fourth national conference members of this committee have organised, the first being held in London in November 2003, the second in High Wycombe, Buckinghamshire in April 2005 and the third in Chester in February 2006. In endeavouring to continue this geographic spread across the UK, the committee decided to hold its fourth conference in the Midlands – this time at a hotel on the outskirts of Coventry. Similar to the previous conferences, representatives from Pubwatches, licensing trade associations and companies, Local Authority Trading Standards and Community Safety Officers, Drug Action Teams, Police Forces, Association of Town and City Centre Managers, Magistrates Associations, Crown Prosecution Service and relevant Government Departments were invited to attend. Considerable effort was again made to attract the attendance of more local Pubwatch members. Delegates numbering 198, together with 39 guests, speakers, exhibitors, media and staff attended and received a delegate pack. A breakdown of delegates revealed that Pubwatch representation numbered 66, police 110, local authority 15 and others 9. Unfortunately, none of our supporters within both Houses of Parliament were able to attend. Committee members decided to change the format slightly this time, enabling the Workshops to take place in the morning, which allowed those delegates who had to leave early, the opportunity to attend them. A Panel discussion followed the main presentations comprising most of the speakers. 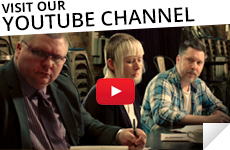 Thank you also to Brian Dickinson for filming this event, the Publican for agreeing to allow Daniel Pearce, their Deputy Editor, to facilitate the Panel discussion and the speakers together with Workshop facilitators and to the contributors for giving up their valuable time. We also wish to express an additional thank you to the local media for their presence and coverage of this event. Additionally, the committee wish to thank staff of the Royal Court Hotel, Coventry for their enthusiasm, advice, support and experience in assisting with organising and smooth running of this conference. Finally, thank you to all the delegates without whom this conference could not have taken place. The evaluations by those of you who completed them are an integral part of this conference. They are of great assistance to the Committee, enabling us both to more accurately identify ways of enhancing our role, and also support each delegate’s role in reducing both crime and disorder in and in the vicinity of licensed premises. He welcomed delegates to the thriving city of Coventry, expressed his support for the work of Pubwatches and wished all present to have an enjoyable conference. As a member of the National Association for Counter Terrorism Security Office, he briefly outlined the counter-terrorism strategy with its aim to reduce the threat, risk and vulnerability. NaCTSO, on behalf of the Association of Chief Police Officers, work with the Security Service, and his role as a Counter Terrorism Security Advisor is the raise the awareness of both the terrorist threat and the measures available to reduce risk. His core area of business is crowded places and ‘soft’ targets. The greatest risk is complacency. There is a continued high level of risk following the attacks in London on 7th July 2005, where terrorists expressed their willingness to inflict large-scale casualties, with multiple coordinated attacks. NaCTSO is gradually rolling out its national initiative, ARGUS – Area Reinforcement Gained Using Simulations – throughout the UK. 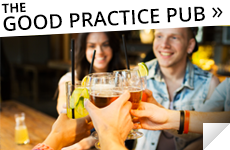 Additionally, guidance documents for licensed premises will be available soon. As a former Police Inspector in Cheshire, he was instrumental in creating ‘Pubwatch On-Line’, a secure communication channel website for Pubwatches. This includes the facility to share information between members. Police photographs of banned persons can be distributed via the ‘web’ to all members who participate in Pubwatch schemes, thus saving police time and resources. Other functions include real time alerting of incidents and the circulation of urgent crime information. He gave a comparison with other channels of communication often used – telephone, pagers, voice banks and radio links. Access is password controlled with encryption as part of the inbuilt security required under data protection. Each Pubwatch has its own section. A news Bulletin Board is available and a range of items can be made available, such as posters and incident report forms. These can be stored, accessed and printed. An offender database is also provided. There are membership costs for each premise, with the annual cost for each premise dependent on the number of premises in that Pubwatch. Both shared their expert knowledge and particular views on relevant legal issues with delegates, in their unique style. They believed the effect of the Licensing Act is ‘not too bad’ but that it was expensive and had hidden snags. They explained that the numbers of Reviews of Licenses were increasing and that test purchases by persons under 18 years of age were leading to more prosecutions. Smoking was addressed in some detail with some hurdles raised and a suggested checklist outlined. Gaming, particularly the proposed changes relating to ‘Amusement with Prizes’ was also raised. They also briefly outlined some of the content of the latest Government consultation on Licensing, which was due to end in April 2007. 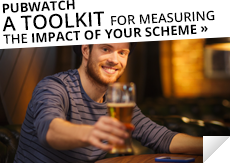 Some issues warranting mention were that there should be no presumption of longer hours, that an explanation on what is meant by ‘incidental music’ is required and that clarity on when applications to vary a license can be made is needed, instead of the requirement to apply for a new Premises License. As head of the Coventry Licensing Authority, he gave an insight into the impact of the Licensing Act and developing issues on his Department. Coventry Partnership drew together partner agencies to make a lively, vibrant yet safe city. He expressed strong support for Pubwatch, which was integral in aiding communication, the spreading of advice, supporting best practice and even promoting the city itself. He considered the Licensing Act had brought a better system which was responsive to the needs of local businesses, event organisers and Responsible Authorities. Under the four Licensing aims, CCTV coverage was gradually being extended, the use of registered door staff more widely promoted and policies on drugs and drunkenness developed. Noise and litter were addressed together with a robust proof of age scheme. There were designated areas for no alcohol, the Best Bar None initiative and on-line services. He described how CV One, a non-profit making company, managed Coventry city centre, a Business Improvement District. He explained how the city centre had been revitalised from a ‘ghost town’ in the 1980s to the vibrant and fourth safest city centre in the UK today. Pubwatch in the city was set up in the year 2000 and its activities had had a positive impact. This greatly assisted CV One, which was formed two years later, with the majority of its funding being provided by the city council. Its activities included the provision of Evening Ambassadors, high profile police reassurance – particularly to the night-time economy, strong support for Pubwatch, building working partnerships, the provision of Pubwatch radios and the monitoring of CCTV and photograph portfolios of banned persons It also supported pursuing Anti-Social Behaviour Orders on suitable offenders. Thus, early warnings of possible troublemakers were able to be circulated quickly. The increased footfall in licensed premises had led to the provision of taxi marshals at Christmastime, multi-agency patrols, the use of metal detectors and having cameras in a number of licenses taxis. Future intentions include a rapid response to cleaning graffiti and the use of head ‘cams’ for police and other partners when on licensing visits. He gave a brief overview of the work of the National Pubwatch Committee and how its members wish to enhance their support to local Pubwatches. He thanked delegates in advance for their attendance and contributions. He encouraged them to complete the evaluation of the day, stating that members of the Committee looked forward to reading the constructive remarks given. The Panel comprised each speaker, apart from Jim Maietta. It was facilitated by Daniel Pearce, the Deputy Editor of the Publican. An active session was held covering a range of topical issues. These included discussing how ‘off’ licensed premises, in addition to the large supermarkets, could be embraced within Pubwatches when they are so disparate. Further discussion followed on how early alcohol education ought to start in schools. They were asked to identify issues that work and/or are good practice, any contentious issues or dilemmas and any issues which they wish the National Pubwatch Committee to undertake. 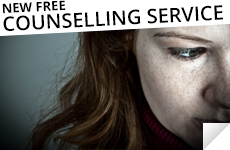 NB: In some cases it is seen as good practice not to name the individual prior to making a decision to ban him/her, however there may be cases where knowledge of the individual involved can elicit more information from members who have experienced similar problems from that person and thereby help to paint a better picture of offending behaviour. Raise profile of National Pubwatch nationally as to the great reductions achieved in crime and disorder. Is education started early enough – primary schools? Advertising on Car Park Tickets, beer mats, etc. The number of completed evaluation forms collected was 88, an average return for the number of delegates present. Feedback on the whole day from delegates was very positive and constructive, with many taking tasks back to discuss, develop and even implement locally. A number of suggestions for inclusion in future conferences were also made. The National Pubwatch Committee were very grateful for all the extra help given, particularly from local personnel, which made the running of this conference a smoother operation for the Committee members involved.